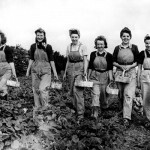 It will come as no surprise to those who have read We Never Stood Alone that the next book in the series focuses a bit on the Women’s Land Army, the so-called Land Girls who left the cities and towns in huge numbers to work and live on the nearly depopulated farms of Britain. 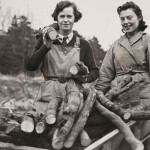 By their cheerful embrace of the hard, dirty, consuming life of the British farm, these women made an essential contribution to the winning of the war. 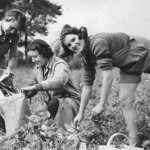 I can’t tell the whole story here, but at the end of the article I’ll recommend a few good books about (and by) the Land Girls. 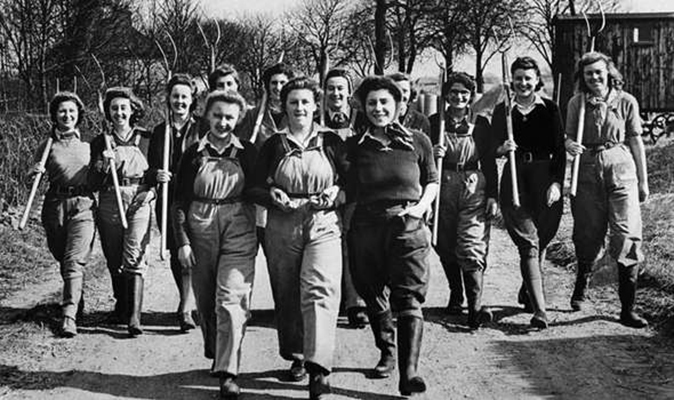 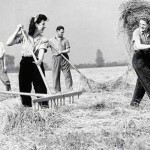 The Women’s Land Army was organized in June, 1939 as a volunteer organization. 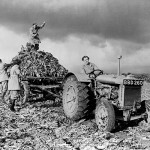 This was supplemented by conscription, so that by 1944 it had over 80,000 members. 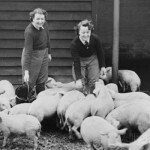 Many of these were young women from London or other large cities and towns who were experiencing farm life (and life away from home) for the first time. 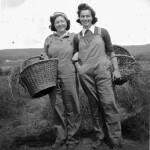 They worked in every form of agriculture, from milking cows to driving tractors, mucking barns to harvesting vital crops. 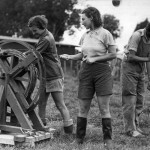 Many were housed in hostels and enjoyed the benefits of comradery (and the rigors of riding bicycles to and from the farms in the dark). 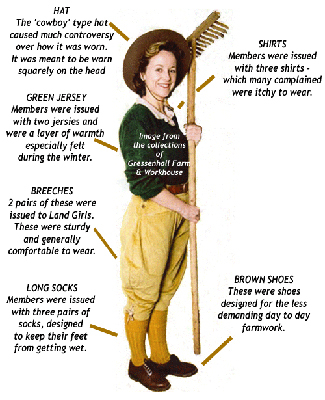 Others were housed by ones or twos with individual farmers, and were often lonely or isolated. 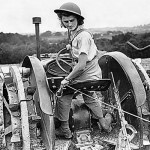 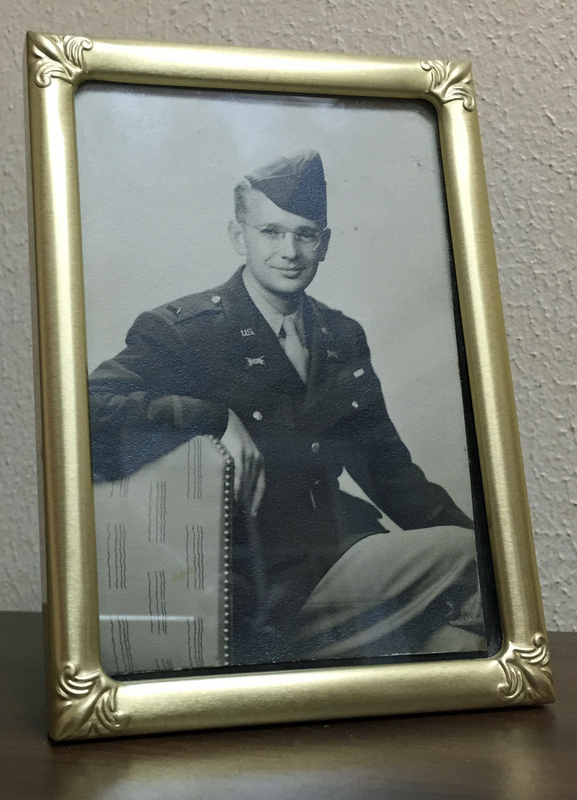 The stories of these unsung heroes are humorous, pathetic and touching. 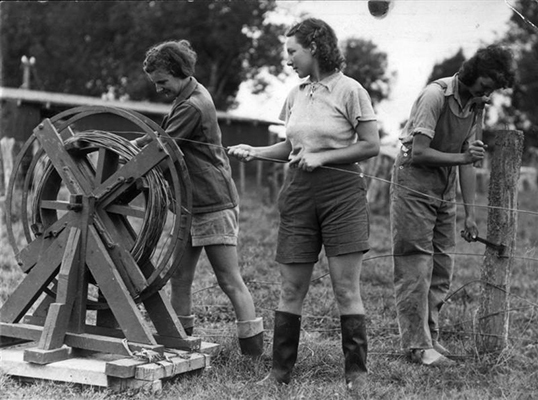 Each of them, it seems, was left on their own to figure out how to milk a cow, drive a tractor, take a calf to market, or harvest mangolds. 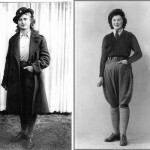 Many of them lived in primitive conditions in sheds or outbuildings with no electricity or plumbing, yet they were expected to be well turned out in approved uniforms. 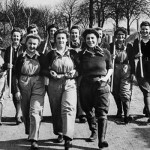 There were, of course, romances, and, sadly, a few abuses, but for the most part these young women did their work safely and well. 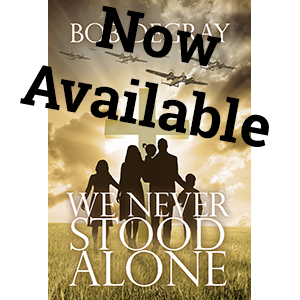 Such a life gave rise to stories, mostly handed down from mother to daughter since the war, but in a few cases written and published. 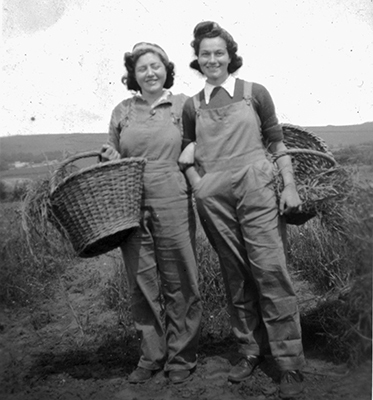 One of my favorites is a little book by Olive Schofield, Down to Earth on the Farm. 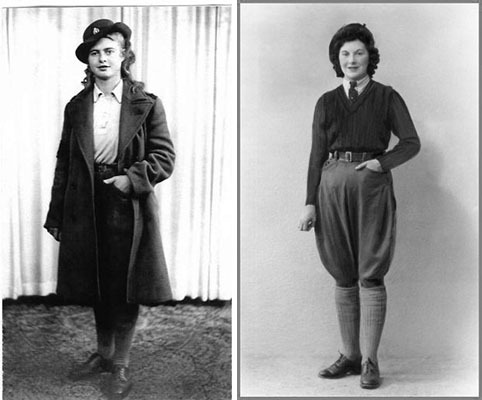 Ms. Shoefield loved her first experience in the country and never really left it. 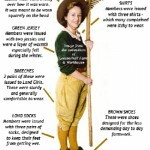 She writes of her adventures through the seasons with simple humor and joy. 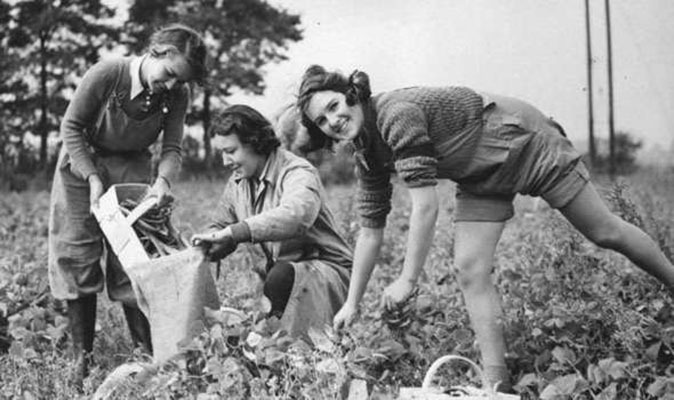 Another good book is Land Girls: Women’s Voices from the Wartime Farm by Joan Mant. 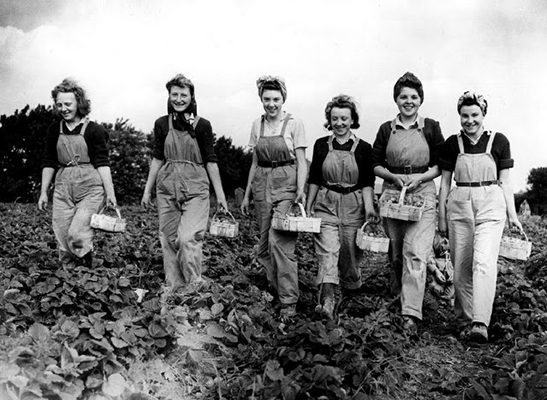 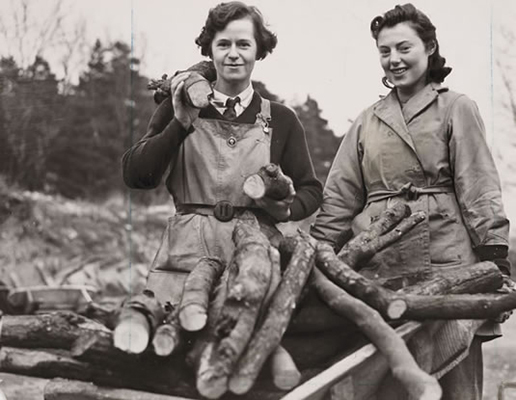 She interviewed hundreds of surviving Land Girls to compile this first-person account. 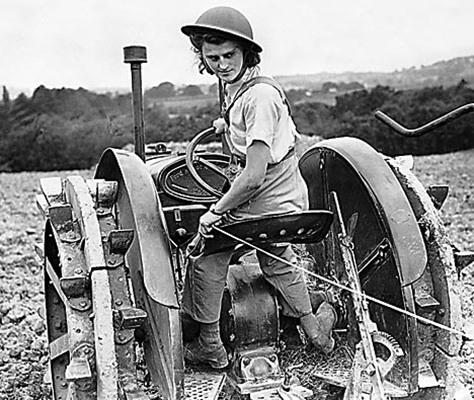 Doing battle on a tractor. 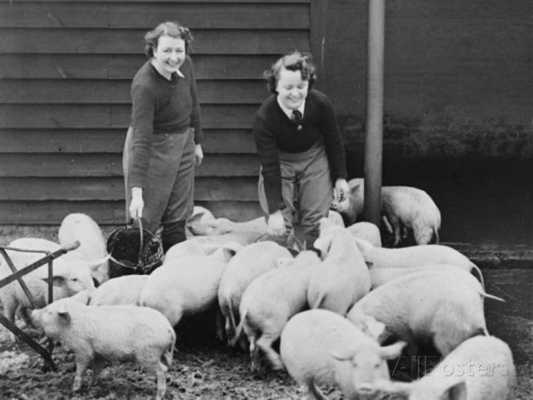 One of the most talked about jobs was tending pigs. 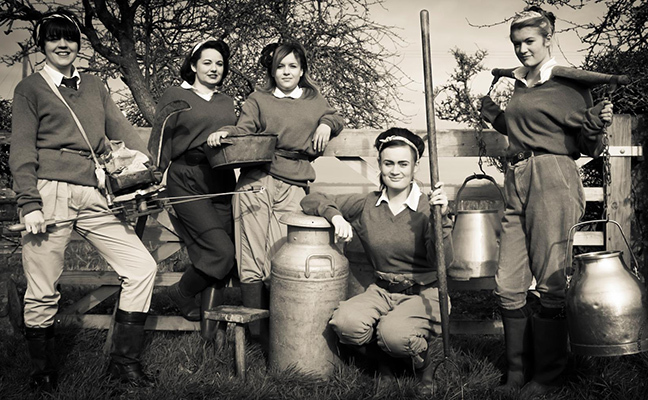 Many Land Girls worked on dairy farms. 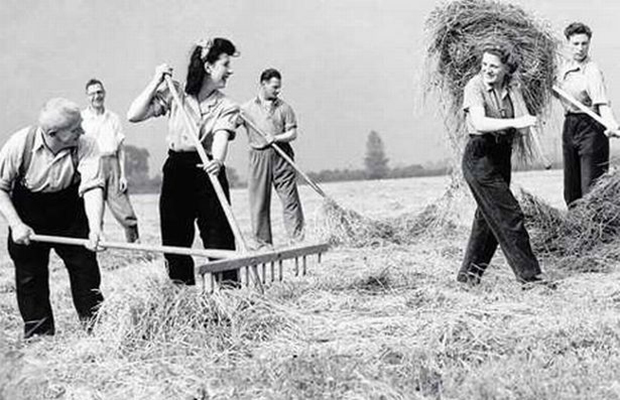 Land Girls at harvest time. 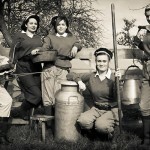 Land Girls on the way to work. 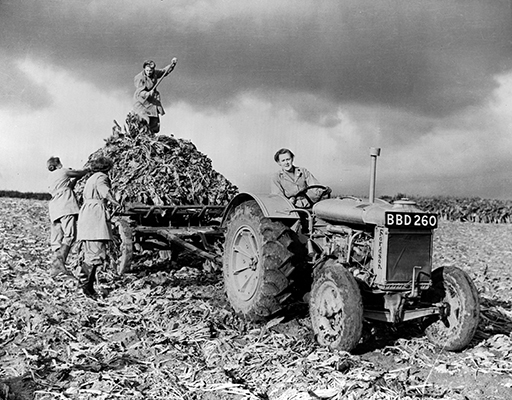 Land Girls driving a classic Fordson tractor and harvesting beetroot.